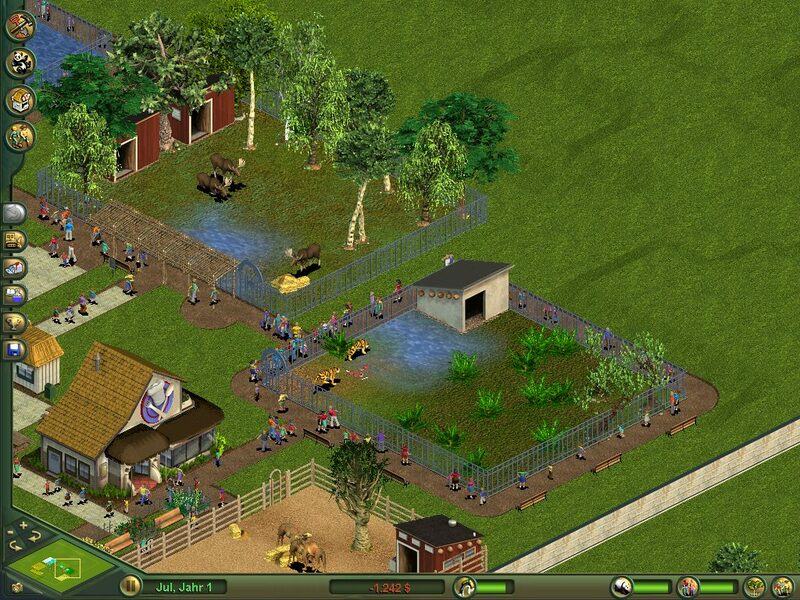 Download here Save Games to Zoo Tycoon. From the early days of computer gaming, Tycoon games have always been a big hit with gaming fans. Starting with the massively popular hit of Roller Coaster Tycoon which I would say started the entire Tycoon genre of game into motion. 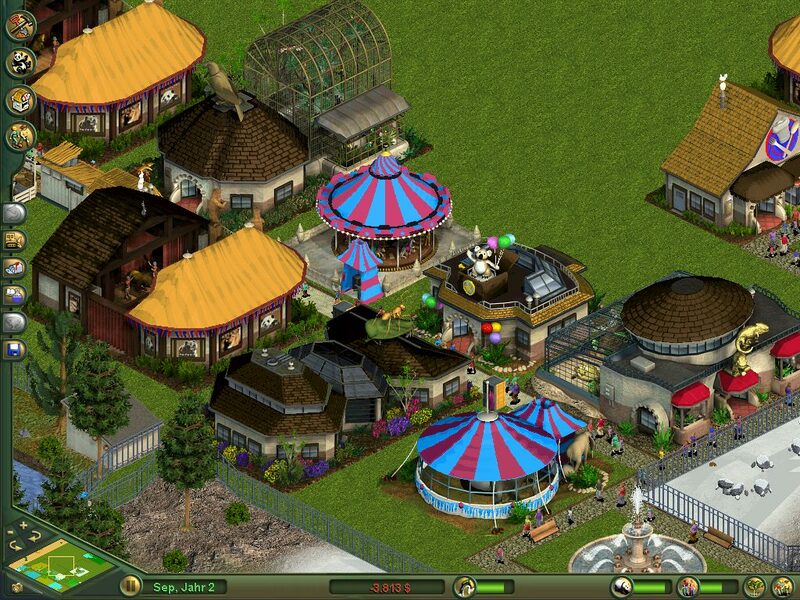 One of the newer additions to the Tycoon family is Zoo Tycoon which in a nut shell lets you build and manage your very own zoo full of animal exhibits which you have to maintain financially by keeping all your zoo loving visitors as happy as you can. 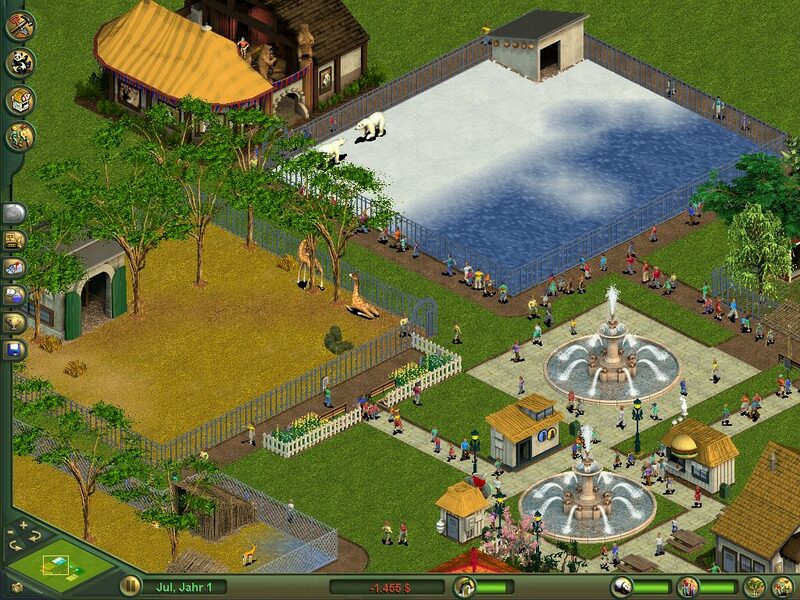 The game play structure of Zoo Tycoon follows a very close similarity to Roller Coaster Tycoon. You initially start of with a large piece of plane land from which you will be able to change into your zoo masterpiece. The game offers around 40 different animals with corresponding habitats which you will have to edit your self to keep your zoo animals happy, for example if you are wanting to add seals into your zoo you will need to edit there habitat with a large pool and a small piece of land for them to rest on. Here’s a scenario you have got your zoo on the way with a few animals and now you want to add a more exotic animal to your zoo to keep your zoo lovers on their toes, but wait do you really know what every animal preferred habitat is? Personally I don’t and that’s why I loved the in game handy hints feature which shows you what would ideally suit each of your animals living conditions as well as there health, hunger level and overall happiness which makes this game available for just about anyone at any age to pick up and play without the risk of getting stressed out because you don’t know what to do, it’s a really smart in game feature that increases the game play of this game 10 times over. You have just created a small zoo and now its time to let the guests into your establishment these guests will determine the successfulness of your zoo so to make sure they are happy you have a large array of food and drink bars, You can hire staff to look after the grounds as well as entertainment and other small entertainment areas to keep your visitors as happy as possible so you can rob them blind of all there money to use to improve your Zoo Tycoon. Moving onto the visuals and sound quality of the game, the game its self does not look overall that impressive it sticks to the 2d graphics which sometimes makes it look a little out of date compared to some of the newer game releases. Another flaw I have noticed with the game is the view system is very far away so quite a lot of the time you have to squint at your screen to try and see you’re tiny animals and guests which can be quite frustrating at times when you need to edit your terrains or you just want to marvel at your masterpiece of a zoo. The sound quality matches the visual quality of the game it just seems to me a little neglected and could have done with a little more work on the audio and video qualities of the game. Enough of all the negatives though let’s take this game for what it really is. It’s a pick up and play style of game with endless amounts of playability that will keep you glued for a good few hours. Admittedly it does not full the shoes of the classic Roller Coaster Tycoon But it does a fantastic job of what its supposed to and that’s entertain people to a high standard overall it’s a good game and not one you should miss if you enjoy the tycoon Genre of game.